Everyone loves the North Carolina Seafood Festival! Take the stress out of locating easy parking for this event and go straight to the PAWS lot. 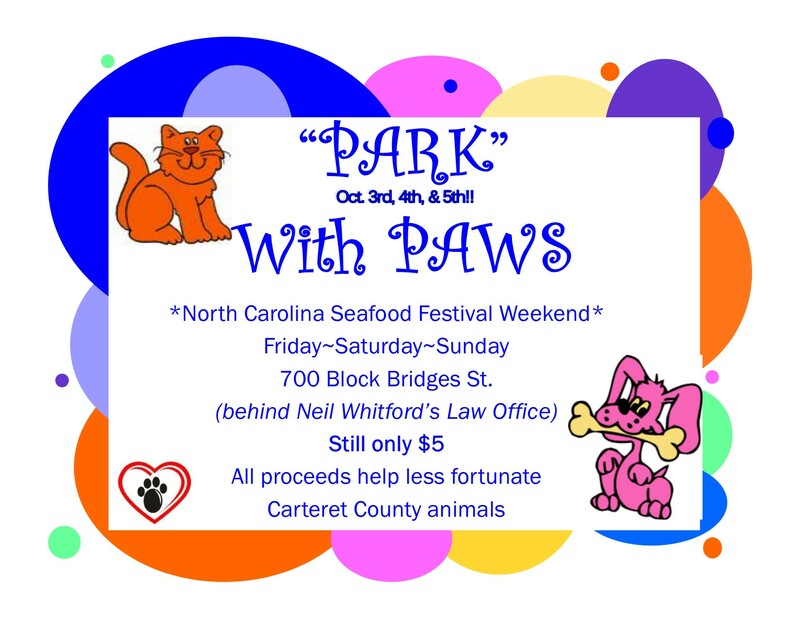 Check out the PAWS Parking Lot first in the 700 block of Bridges Street behind Neil Whitford’s Law Office! Still only $5 the proceeds are helping less fortunate animals in Carteret County and also go toward our no kill animal shelter construction. This entry was posted on Wednesday, October 1st, 2014 at 9:50 am	and is filed under Uncategorized. You can follow any responses to this entry through the RSS 2.0 feed. You can leave a response, or trackback from your own site.